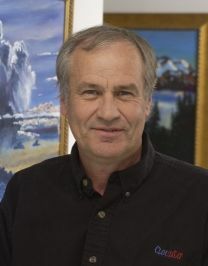 February 6, 2015 – Colorado State University Atmospheric Science University Distinguished Professor Emeritus Graeme Stephens has been elected to the National Academy of Engineering (NAE). He will be formally inducted at the NAE annual meeting in October 2015. Dr. Graeme Stephens completed his B.S. with honors from the University of Melbourne in 1973 and received his Ph.D. in 1977 from the same university. He was appointed to the CSIRO Division of Atmospheric Research in 1977 as a research scientist and promoted to senior research scientist in 1982. From 1979 to 1980, Professor Stephens served as a post-doctoral research student at the CSU Department of Atmospheric Science. He joined the faculty as an associate professor in 1984, was promoted to full professor in 1991, and received Emeritus status in 2010. In 2005 he was honored as a University Distinguished Professor and is currently the Director of the Center for Climate Sciences at the Jet Propulsion Laboratory where he continues to work on the CloudSat Mission along with focusing on climate, it’s impact on our environment and the development of future climate missions that hold unprecedented global relevance for today’s society. Dr. Stephens’ research activities focus on atmospheric radiation including the application of remote sensing in climate research to understand the role of hydrological processes in climate change. He also serves as the primary investigator (PI) of the NASA CloudSat Mission and associated research group which has launched a satellite to study the internals of clouds using equipment similar to radar.